Hamilton Carhartt cut his first pair of bibs in 1889, and we've been making some of the hardest working clothing out there ever since. 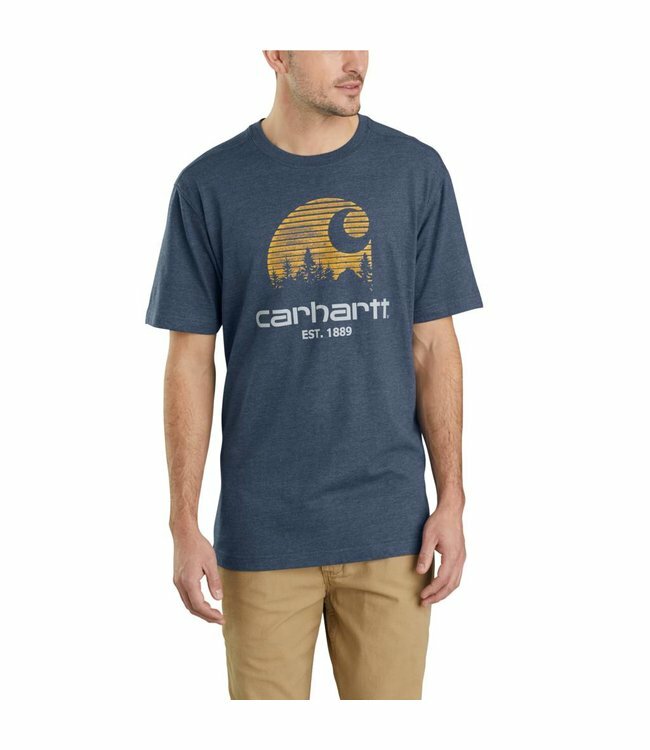 This men's t-shirt pays homage to that history with a filled-in Carhartt "C" graphic on the chest. It's made of midweight jersey that's soft and comfortable.